These gorgeous pieces are brought to you straight from Italy. 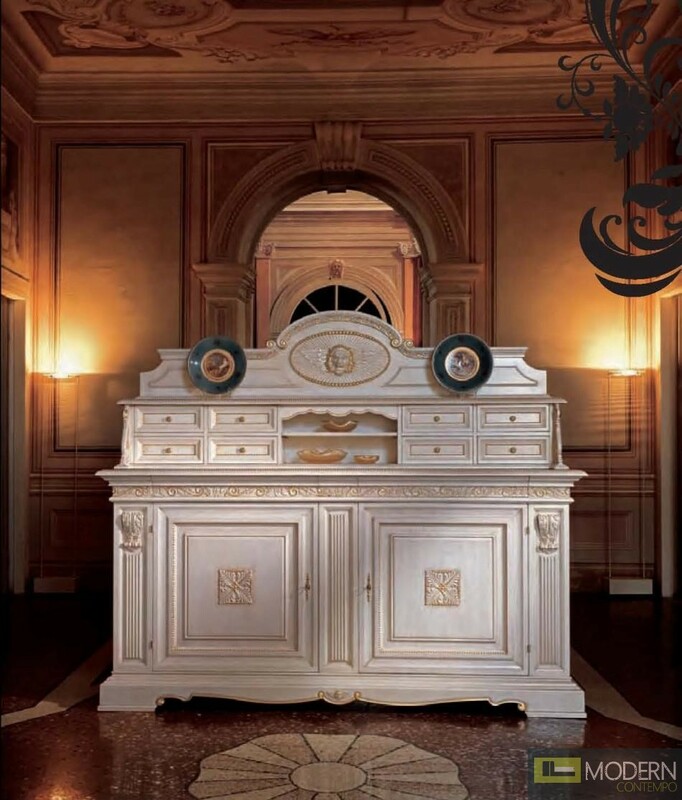 The San Marco Triple Decker Display Buffet is constructed entirely of strong hardwood and given a creamy, white finish. 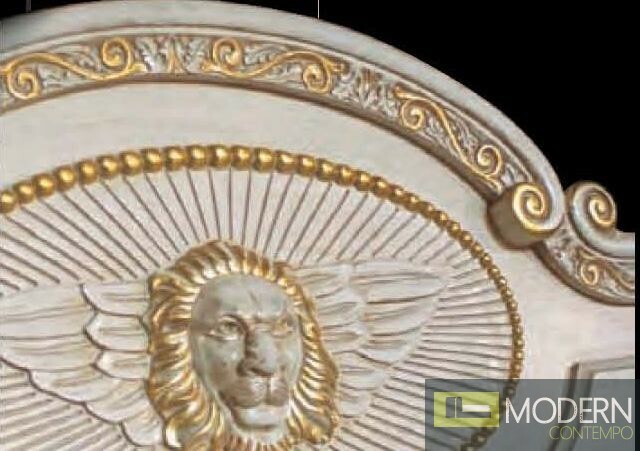 Throughout the piece are intricate wood carvings and warm, golden accents which add an Italian flair to the piece. The display buffet has multiple doors and drawers which open to reveal convenient, important storage space.